Bad breath is caused by bacteria and is a sign of an unhealthy mouth. Over time, bacteria leads to plaque and tartar buildup on your pet’s teeth. The result is bad breath, reddened gums, and other common signs of dental disease. As dental disease progresses, other signs can include drooling, discomfort while chewing, and loose or missing teeth. Even if you’re using treats and chews to help control tartar, these are frequently not enough to keep dental disease in check. Dental hygiene is an important part of your pet's health because dental disease can be associated with other serious health problems such as heart disease and kidney disease. Let us examine your pet’s teeth and gums to help determine if there are any dental issues you should know about. After a brief visual examination, we may recommend a more detailed examination (which requires sedation), a dental cleaning, or options for at-home dental care. We want your pet to live a long, healthy life and we understand that maintaining a healthy mouth is essential to help achieve that goal. 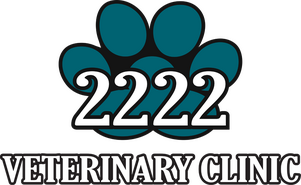 Please contact us to discuss your pet’s dental care needs and how we can help!